Everyone who has dry, thick, and/or frizzy hair and wants a lightweight oil to tame it and keep the ends hydrated. This is a wonderful oil for all the girls that, like me, love to bleach or dye or change the color of their locks very often. As we all know, our hair always suffers because of chemical treatments, colouring, hair dryers, straighteners and even sunshine. The ends especially will dry out, split and suffer greatly from being the oldest hair on our head. The Phyto Huile Suprême is perfect because the lightweight formula absorbs instantly into your locks, leaving your hair looking perfectly nourished, but not greasy at all. It also helps to calm down frizzy locks, restore healthy radiance to dry hair and repair split ends. You can use this multipurpose oil on your locks, an hour before you wash your hair, as a pre-shampoo treatment; put one or two pumps on your hand, and apply the product only to the areas of your hair that need it, usually mid-shafts and ends (avoid the scalp). Then, after blow drying your hair, you will notice immediately that your locks are softer, shinier and healthier than before (and they stay that way even the day after). If you prefer, you can also distribute a few drops of product through your entire length, dry or even wet, before blow drying, straightening or curling it; in fact, this oil has great heat protecting properties, and helps to style your hair, too. You can also use it as a night treatment; apply no more than two pumps before going to bed, leave it overnight, then wash your hair in the morning for a good beautifying treatment. The effect of this product is supposed to be accumulative so I would recommend to use it at least once or twice a week, for a long term result. Moreover, the formula of Phyto Huile Suprême is Parabens, Sulfates, Phthalates and Silicone free, and 99% botanical. One of the key to get good results with this oil is not using too much of it. So, be careful, because if you use too much product you hair will become greasy, heavy and unpleasant to see and style due to the flatness. Usually, two pumps are enough, one if you have short hair. Also, it can be pricey, depends in which country you will buy it, but anyway it is an amazing product, absolutely worth your money and a little goes a long way. 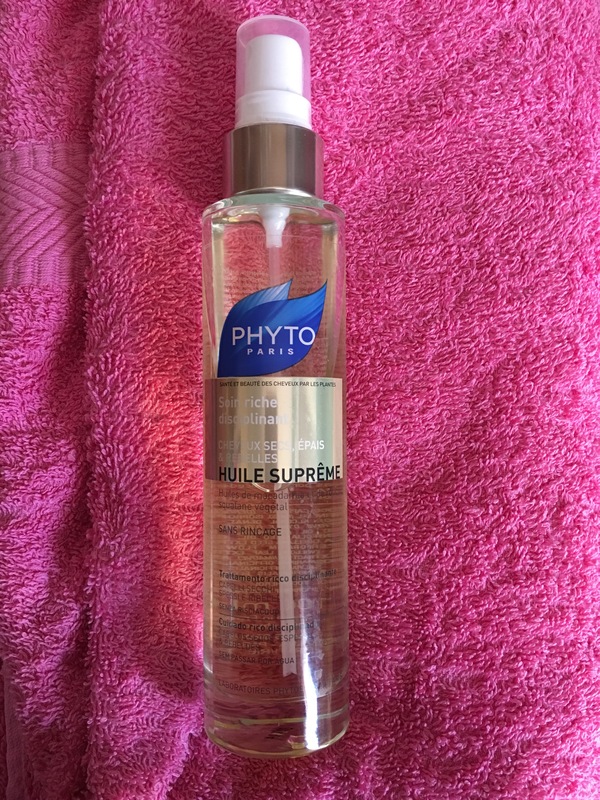 Phyto Huile Suprême is a deep, but lightweight hydrating oil that will leave your hair healthy, soft, shiny and much more easy to style. It’s a real hair saviour! 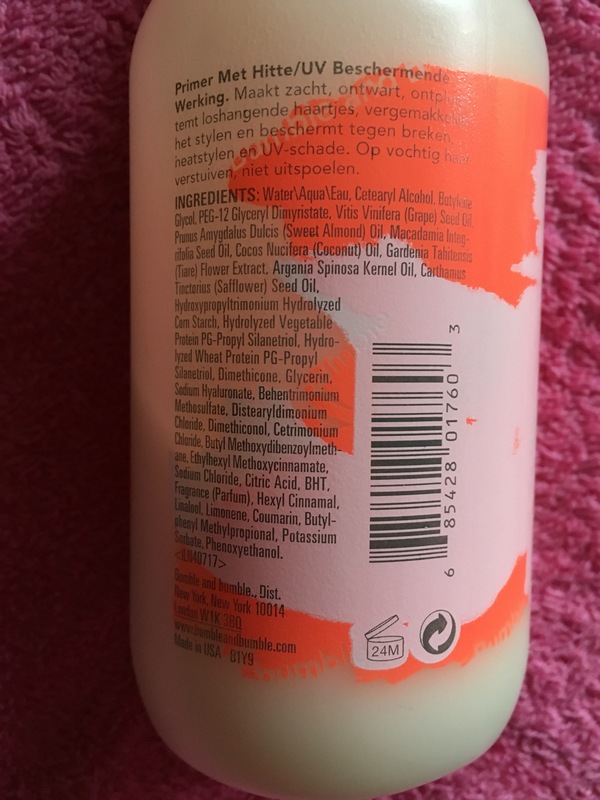 Coco-Caprylate (Dérivé d’Huile de Coco)Zea Mays (Corn) Germ Oil (Mais), Isopropyl Myristate (Dérivé d’Huile de Coco), Alcohol Denat (Alcohol de Betterave), Squalane (Dérivé d’Huile d’Olive), Helianthus Annuus (Sunflower) Seed Oil, Fragrance (Parfum), Macadamia Ternifolia Seed Oil, Glycine Soja (Soybean) Lipids (Bixa) Orellana Seed Extract (Huile de Roucou), Hypericum Perforatum Flower Extract (Millepertuis), Salix Alba (Willow) Leaf Extract (Saule), Althaea Officinalis Root Extract (Guimauve), Articum Lappa Root Extract (Bardane), Rosmarinus), Salva Officinalis (Sage) Leaf Extract , Calendula Officinalis Extract (Calendula), Caprylic/Capric Triglyceride, Limonene.Botanical origin. Hello everyone! 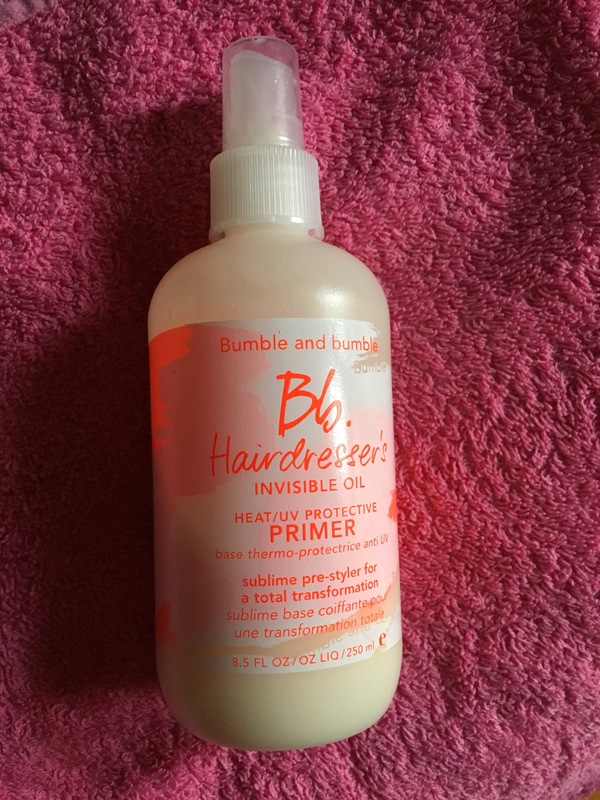 🙂 Today it’s a hairday review so we are going to talk about my beloved B&B Hairdresser’s Invisible Oil Primer! It’s designed for everyone who has thick, dry, damaged and/or frizzy hair. Plus, it’s perfect for everyone who wants a pre-styler that protects, conditions, and eases styling your hair. This amazing hair primer is infused with a blend of 6 feather-light oils, (Grapeseed, Safflower Seed, Sweet Almond, Macadamia Nut, Argan and Coconut oil); they all work to soften, silken, detangle and de-frizz your locks, without weighing it down or greasing it up. 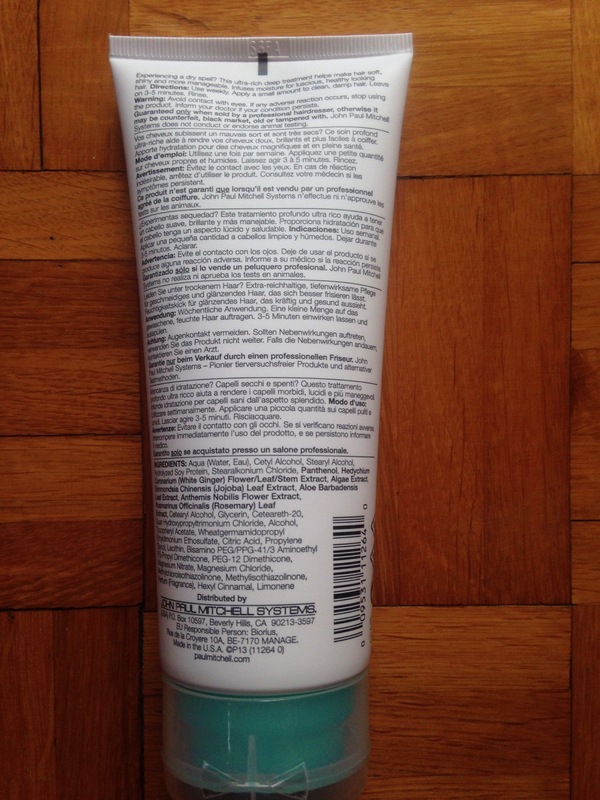 It will also protects your hair against heat-styling, UV-radiation and every kind of breakage. The bottle has a spry applicator to apply the product directly on your hair, but my tip to use it at its best is this: spritz it 3/4 times directly on your hands, warmth slightly with your palms and then apply it on your strands. You can use it on your wet or dry hair, but either way I would recommend to focus especially on your lengths and ends and be extremely careful with your roots and scalp because it is super moisturizing and, if you have normal/oily scalp, it can make your roots look greasy. The B&B Hairdresser’s Invisible Oil Primer has also a very nice, light and fresh scent, so your hair will be beautiful and slightly perfumed, too. Also, with a product that is aimed at revitalizing and moisturizing dull-looking and dry hair, the worry can be that your locks will look too oily after applying it. But fear not, because this primer delivers just the right amount of oil to leave your hair looking perfectly nourished but not greasy. And I know, it is pricey but well worth your money to have beautiful silky hair, plus a little bit of it goes a long way, believe me! I would recommend the B&B Hairdresser’s Invisible Oil Primer for all the girls that, like me, love to bleach or dye or change the color of their locks very often. This primer will give your hair a final boost of nourishment, leaving your locks beautifully shiny, healthy and soft. Moreover, this product, in combination with a great conditioner (like this one), will bring your dry and damaged hair back to life! So, back to the topic, I have 5 must have products to keep in your summer beauty-case or near your desk while you are working. • It’s a gentle and very effective cleanser for all skin types, but it’s especially amazing for oily, combination and sensitive skin. • Its mousse formula has a lovely soft creamy texture, perfect for this hot summer weather! • It is particularly great as a morning cleanser, because it leaves your skin feeling fresh, clean and balanced. 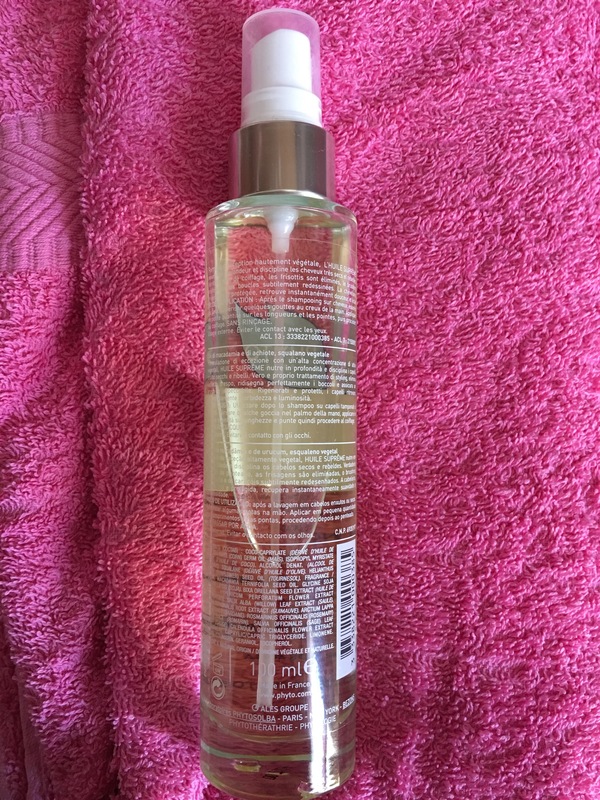 • It’s an extremely gentle, micellar water solution for use either before proper cleansing, or to quickly cleaning make up mistakes. • It doesn’t require rinsing off and it has decongestant active ingredients (such as Cucumber Fruit Extract, etc.) that prevent irritation, making the skin feel instantly refreshed. • It’s an indispensable companion for when you come home very late at night and you are too tired or/and too sweaty to do a proper skincare routine. • It can be used by all the family, and it’s refreshing action offers relief from all types of skin irritations. There’s nothing like a cold spray all over your face to make you feel vaguely human again! • It contains indispensable traces of some mineral elements (e.g. silica). Thanks to them, this water leaves a soothing barrier all over the skin. • It’s a great addition to your usual cleansing routine and an intensely cooling and soothing skin treatment when you are out and about during this hot summer days. 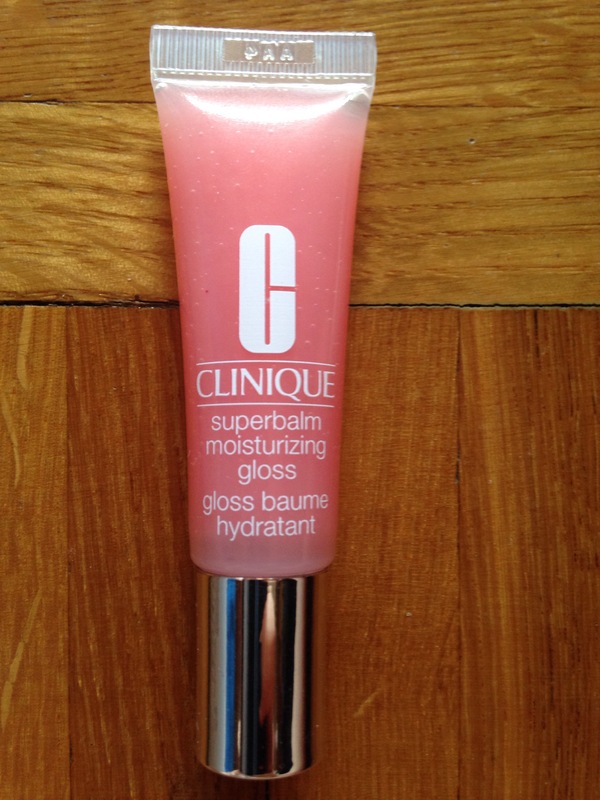 • It is a balm lip gloss that moisturizes your lips while adding a hint of color and a glistening effect. • The hydrating formula (with vitamin E and linoleic acid) makes your lips feel soft for hours with a non-sticky feeling. • It comes in a travel-friendly squeeze tube to take out with you if you’re heading off to a festival, city snooping, a summer party or wherever you’re off to. • This hair brush effortlessly detangles your wet or dry locks in no time at all without stretching or breaking your delicate strands. • It’s an amazing tool for everyone (long hair, curly, straight, short, children etc. 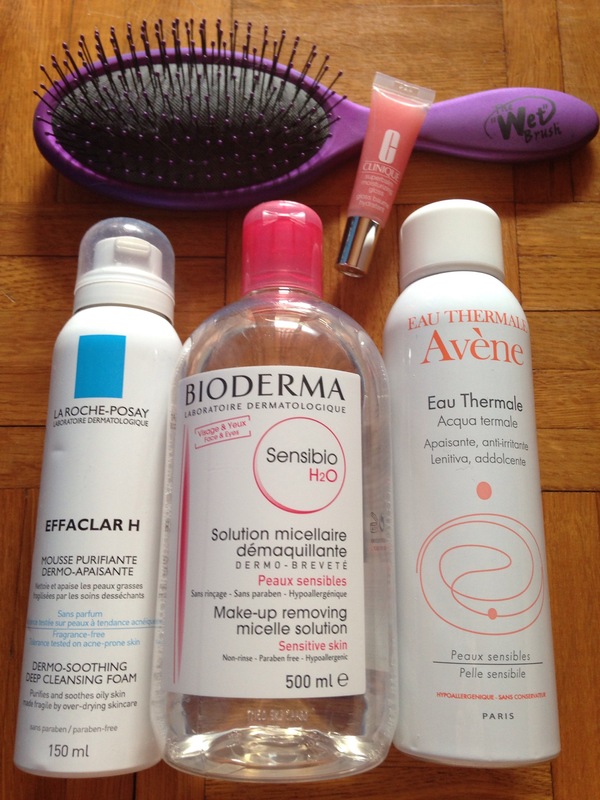 ), who needs a gentle hair brush that removes knots quickly and painlessly, especially from wet hair. • There is a mini size of this brush, which is a perfect addition in your summer beach bag or in you travel bag. Don’t forget to do a proper cleanse with a balm/gel/cream and a towel/flannel every morning and evening, even during this burning days! It is also essential to keep your skin protected in this hot sunny weather; always choose a broad-spectrum sunscreen with a high SPF (preferably 20 or more). Torniamo a noi, ho messo insieme una lista di quelli che secondo me sono i 5 prodotti “must have” per quest’estate; indispensabili nel vostro beauty-case, nella borsa di tutti i giorni o da tenere sulla scrivania mentre lavorate. • E’ un detergente leggero ma molto efficace per tutti i tipi di pelle, ma soprattutto per chi ha la pelle mista, a tendenza acneica e/o sensibile. • E’ una mousse dalla texture cremosa, soffice e gradevolissima sulla pelle, perfetta per questo clima infuocato! • E’ ottima da usare soprattutto la mattina perché lascia la pelle fresca, pulita ed “equilibrata”. • E’ un’acqua micellare per pelli sensibili da usare sia prima della solita routine di pulizia del viso oppure per correggere eventuali errori di make-up. • Non deve essere risciacquata e contiene anche alcuni ingredienti decongestionanti (come estratto di cetriolo) che prevengono le irritazioni e fanno sentire la pelle immediatamente rinfrescata e pulita. • E’ un prodotto indispensabile per quando rincasate tardi la sera oppure siete troppo stanche o troppo sudate per mettervi a fare una completa pulizia del viso. • Può essere usata da tutta la famiglia e il suo effetto rinfrescante e calmante va bene per tutti i tipi di irritazione della pelle. Non c’è niente di meglio di una bella sferzata di acqua fresca per farvi sentire subito umani e non degli zombie accaldati! • Contiene tracce di alcuni minerali, come il silicio, che contribuiscono a lenire e a riparare la pelle. • E’ un ottimo prodotto da aggiungere alla vostra routine di pulizia quotidiana della pelle e con il suo effetto calmante e rinfrescante è un trattamento perfetto da portare sempre con voi durante queste calde giornate (e serate) estive! 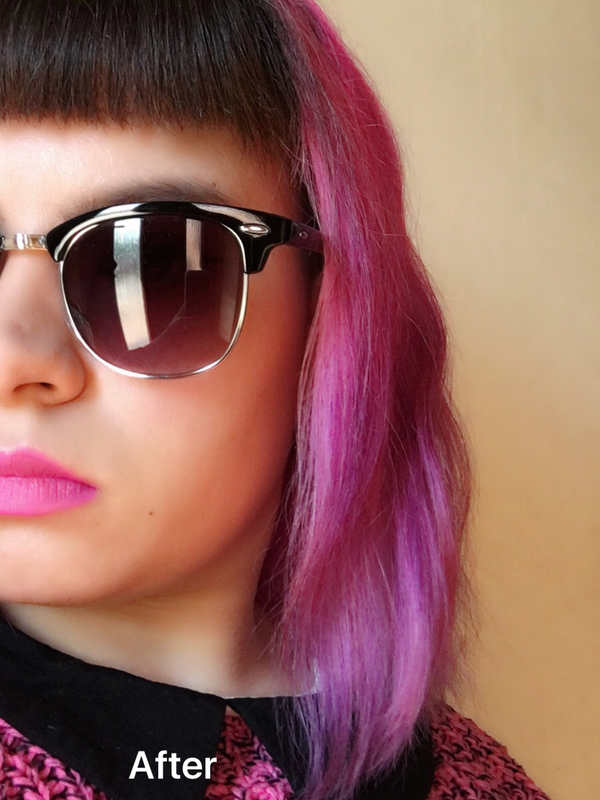 • E’ un lip gloss che non solo idrata le vostre labbra ma vi aggiunge anche un po’ di colore e un leggero effetto brillante. • La formula idratante (con la vitamina E e l’acido linoleico) lascia le labbra morbide per parecchie ore senza la fastidiosa sensazione di appiccicoso tipica di certi lip gloss. • Lo trovate in un tubetto dal formato perfetto per essere portato in borsa durante le vacanze o in giro per la città, o ad una festa o in qualsiasi altro posto andrete quest’estate. • Questa spazzola riesce a districare facilmente i vostri capelli, umidi o asciutti che siano, senza dover tirare troppo e senza causare danni alle vostre ciocche. • E’ un ottimo prodotto adatto a tutti; chi ha i capelli lunghi, corti, ricci, lisci e anche per i bambini. E’ un “must have” soprattutto per chi ha bisogno di una spazzola che rimuova i nodi gentilmente e velocemente, specialmente dai capelli umidi. • Di questa spazzola esiste anche una versione mini, perfetta da portare sempre con voi nella borsa da spiaggia o nel beauty case da viaggio. Non dimenticatevi di fare sempre una pulizia completa del viso con un gel, una crema o un balsamo (specifico per la pulizia del viso) e un asciugamano pulito ogni mattina e sera, anche durante questi giornate infuocate. 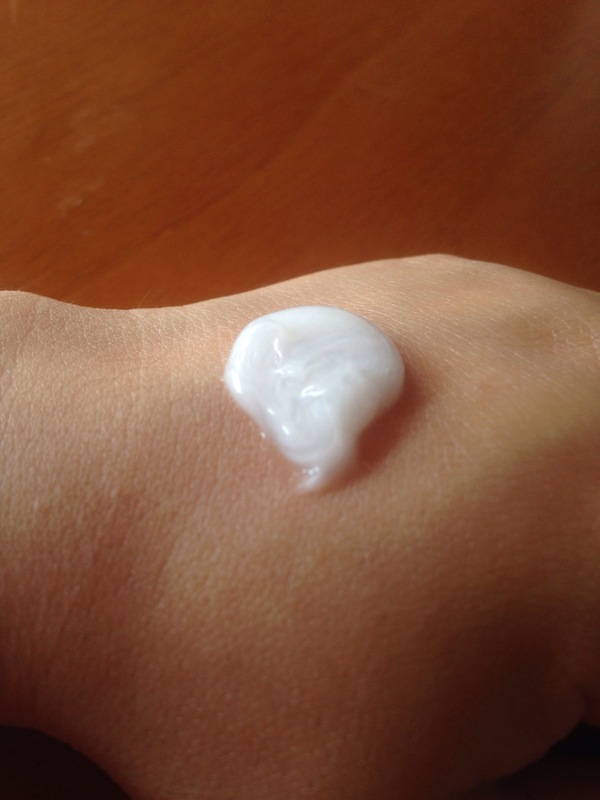 E’ anche fondamentale proteggere la vostra pelle in questo clima caldo, afoso e soleggiato; scegliete sempre una crema solare protettiva con un grado di SPF molto alto (preferibilmente dal 20 in su). Little premise as always: I have thick hair that tangles very easily. Therefore, I always have to brush my locks before I wash it, otherwise I will not be able to untangled it after washing my hair. I would recommend this product to anyone who needs a gentle hair brush that removes knots quickly and painlessly, especially from wet hair. It is also great for reinvigorating/massaging your scalp. 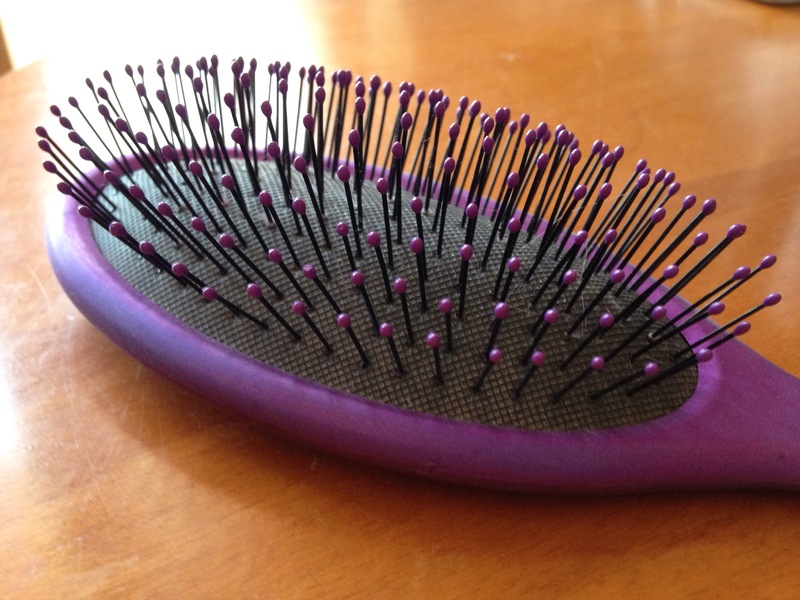 This ordinary looking hair brush has changed my life! I have thick and uncooperative hair, so detangling my locks was my most hated activity, but this brush slides smoothly through my tangles (like a hot knife through butter) without causing split ends or watery eyes. Plus, the amount of hair breaking off and falling out as I brush my locks is now little to none, which is a first, at least for me. 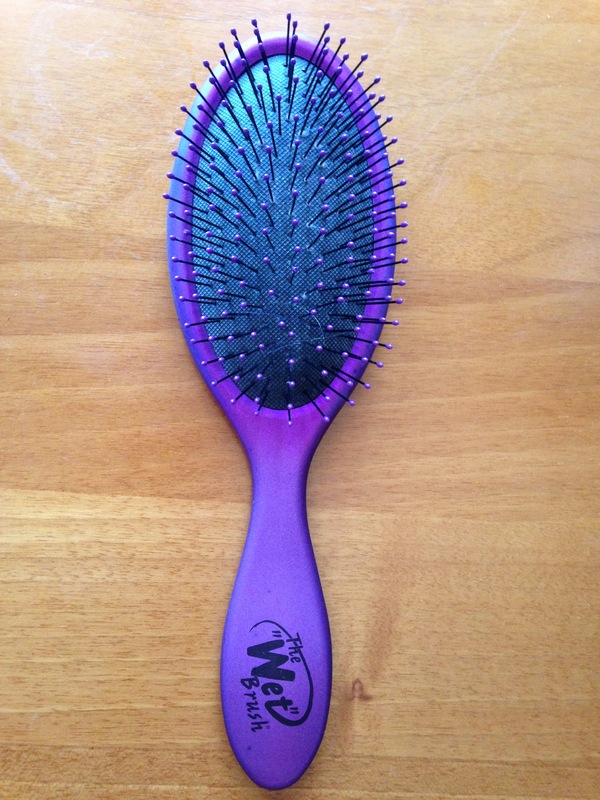 Now I love brushing my hair, because after using this amazing tool, my locks are smooth and tangle-free. In the past, I’ve bought expensive brushes per recommendation of my hair stylist that didn’t even come close to how good this brush works. 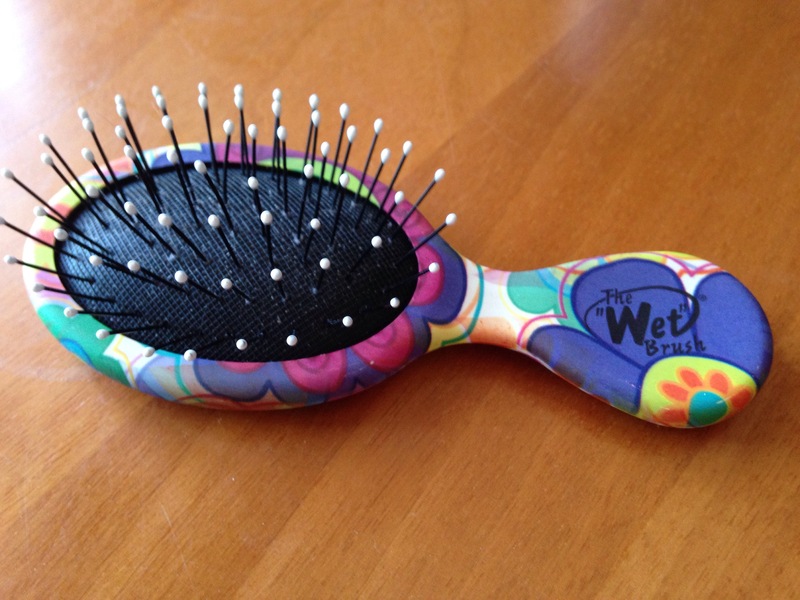 I love the Classic Wet Brush so much that I have already purchased the smaller version; it’s always in my bag! Moreover, it is ergonomically designed with a rubber coated, non-slip handle, and it comes in several great colors. 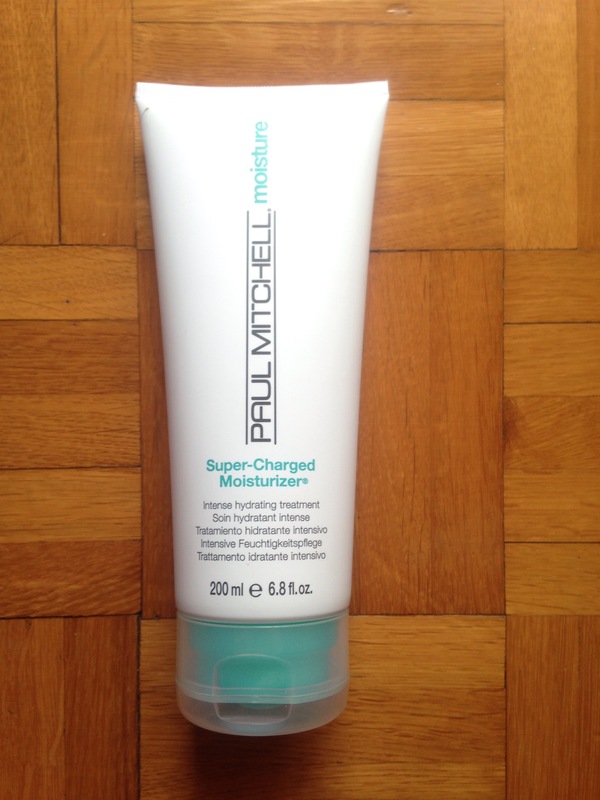 P.S: I don’t have frizzy and unruly hair any more thanks to my beloved Paul Mitchell conditioner [I did my review here], used in combo with this amazing brush! The only thing that bothers me is how to clean it. You have to be a little careful, because the bristles are so long that I have a hard time cleaning the base without bending them. Or you can use a specific cleaner that can easily and effectively remove the hair that gets stuck in your brush. The Classic Wet Brush effortlessly detangles your wet or dry locks in no time at all without stretching or breaking your delicate strands, and it’s an amazing tool for everyone; long hair, curly, straight, short, children etc. I’ve gone through two of these brushes already (the classic one and the mini version), so far over the course of a year and I truly recommend this product to anyone who is looking for a new amazing and affordable hair brush. For me, it’s a must have for this summer! None, it’s a brush! 😉 But how it works? I’m not quite sure what makes this brush perform better than the others, but according to the company this works, and I quote: “… with the revolutionary ‘IntelliFlex’ technology (…). The thin, strong yet super flexible bristles have “brains”, yielding or unbending as required, to glide through tangles with next-to-no tugging, tearing or tress distress. Also, the ball-tip bristles are perfect for gently stimulating circulation near the scalp, to better feed your follicles and encourage near growth”. Piccola premessa come sempre: i miei capelli sono grossi e folti e tendono ad aggrovigliarsi molto facilmente. Devo sempre spazzolarli prima di lavarli altrimenti, dopo lo shampoo, non riuscirei più a districarli. Consiglierei questo prodotto a chi ha bisogno di una spazzola che rimuova i nodi gentilmente e velocemente, specialmente dai capelli umidi. Le sue setole sono ottime anche per massaggiare e rinvigorire il cuoio capelluto. Questa normalissima, all’apparenza, spazzola per capelli mi ha cambiato la vita! Ho sempre odiato pettinarmi dopo lo shampoo perché ho i capelli grossi che tendono ad annodarsi facilmente, ma questa spazzola riesce a districarli, con la stessa facilità di un coltello che taglia il burro, senza spezzarli e senza farmi venire le lacrime agli occhi. Inoltre, la quantità di capelli che mi cadono o che si spezzano mentre li pettino è diminuita notevolmente, cosa che con le altre spazzole non mi era mai successa. Ora adoro pettinarmi i capelli dopo averli lavati perché sono più facili da trattare, lisci e senza nodi. Prima usavo diversi altri tipi di spazzole raccomandate dal mio parrucchiere, meno economiche rispetto a questa: nessuna di loro ha mai funzionato così bene come la Classic Wet Brush, nonostante costassero una piccola fortuna! Mi piace così tanto questa spazzola che ho già comprato anche la versione mini; è ottima da portare in giro, infatti la tengo sempre nella borsa. P.S: Non ho più i capelli crespi e “indomabili” da quando uso il mio amato balsamo di Paul Mitchell [di cui potete leggere la recensione qui], in combinazione con questa utilissima spazzola! 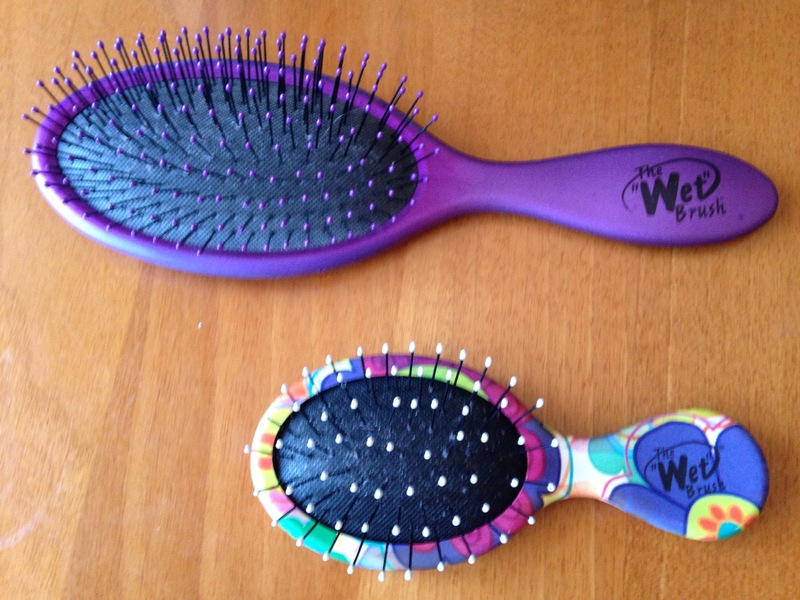 L’unica cosa che “mi preoccupa” è la pulizia della Classic Wet Brush. Bisogna fare attenzione perché le setole sono lunghe e per pulire la base bisogna piegarle leggermente. Oppure potete usare un attrezzo specifico per la pulizia delle spazzole per capelli; con quello riuscirete certamente a ripulire meglio la base e ad eliminare tutti i capelli che si incastrano nella spazzola. La Classic Wet Brush riesce a districare facilmente i vostri capelli, umidi o asciutti che siano, senza dover tirare troppo e senza causare danni alle vostre ciocche. Va bene per tutti; chi ha i capelli lunghi, corti, ricci, lisci e anche per i bambini. Ho già avuto modo di usare due di queste spazzole per un anno circa (la versione classica e quella mini) e le raccomando fortemente a chi cerca una nuova spazzola efficiente ma non troppo costosa! Per me è un “must have” dell’estate, soprattutto, ma non solo, al mare o in piscina! Ovviamente nessuno, è una spazzola! 😉 Ma come funziona? Non sono proprio sicura di quale sia esattamente la tecnologia dietro questo prodotto o il motivo per cui funziona meglio di altre spazzole all’apparenza molto simili, ma, secondo la casa produttrice, e cito: “… questa spazzola utilizza la rivoluzionaria tecnologia ‘IntelliFlex’. (…) Le setole sono forti, molto flessibili ma allo stesso tempo sottili. Inoltre sono ‘intelligenti’, nel senso che sono in grado di adattarsi ai diversi tipi di capello, flettendosi o irrigidendosi secondo le diverse necessità, e districando le ciocche senza tirare, strappare o causare stress al delicato cuoio capelluto. Inoltre, le palline che ci sono sulla punta di ogni setola stimolano gentilmente la circolazione del cuoio capelluto, permettendo così ai capelli di crescere più sani e forti”. Hello everyone! 🙂 Ahhhh, summer time here today, let’s go outside and feel the amazing hot summer humid air… it’s soooo good for our hair! I’m “hair”larious, right! 😉 I thought so…Then, it’s a haircare day review today, to shake the schedule a little bit! Little premise as always: my hair tends to get very dry and frizzy with all the coloring and styling. 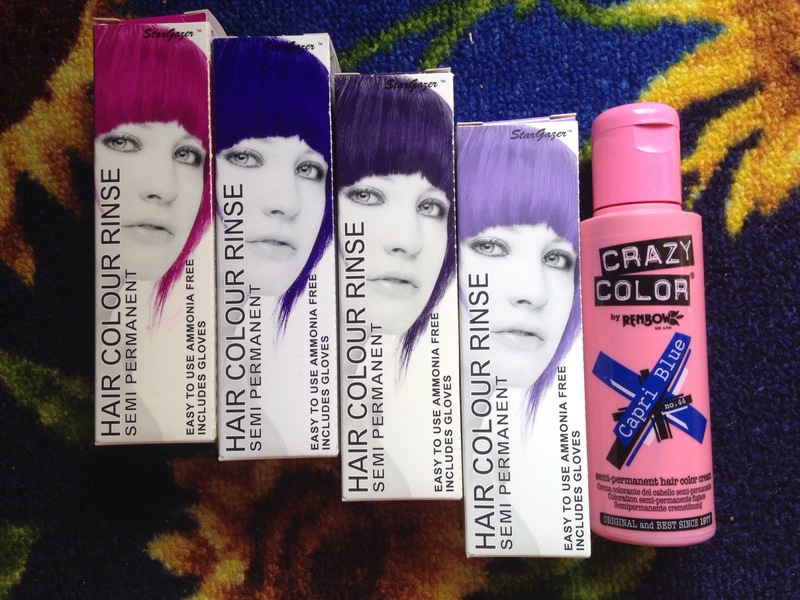 I have bleached my hair several times by now and used so many unconventional colors (blue, green, purple) that I need an intense hydrating treatment at least twice a week! I would recommend this product to anyone who needs a deep hydrating treatment that brings beauty and vitality back to dry, lifeless and damaged hair. The Moisture Super-Charged Moisturizer is a deep moisture treatment that will leave your locks healthy, soft, shiny and much more easy to style. It’s a real hair saviour! I use it at least twice a week after shampooing and conditioning my hair. I apply a small amount of product on my damp hair, massage up and down the length and on the ends and leave it for 3/5 minutes; then I rinse it completely. 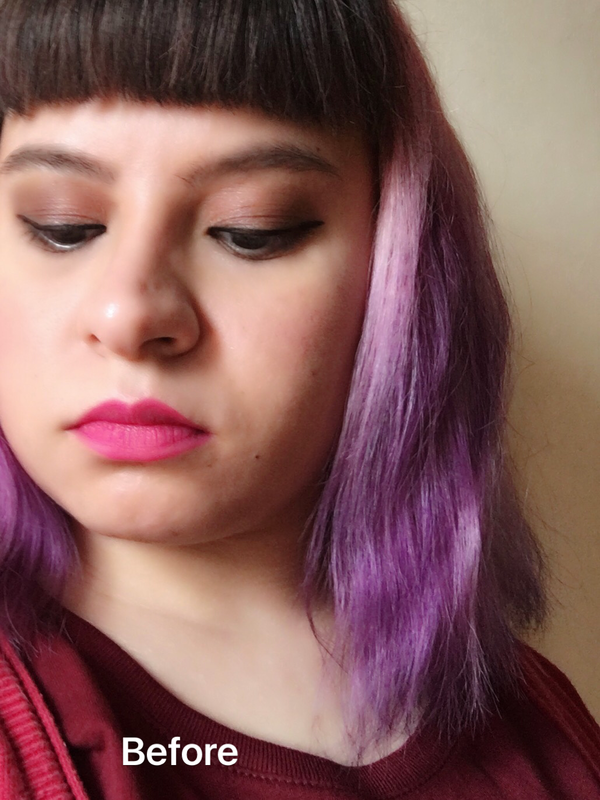 A little piece of advice: I would recommend using a small amount of product in order to avoid the “ugh…it’s-like-I-have-not-washed-my-hair-at-all” feeling! It’s very moisturizing, so if you put on too much product after you have blow-dry your hair they will look weighed down and not silky at all. 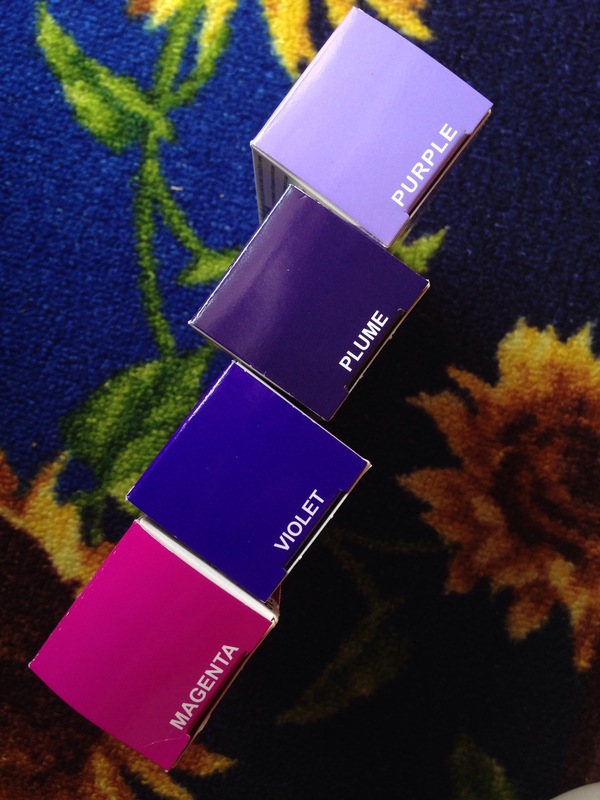 This amazing product is also paraben free, vegan, and color safe. You can buy it on Lookfantastic , Feelunique and on Ulta . I adore this hair conditioner/treatment! I think that it is definitely right up there with my most favorite haircare products ever; wonderful stuff! It’s a great product especially for long and thirsty hair and/or for split ends! ” – Panthenol: Provides long-lasting moisture, reduces the formation of split ends, thickens hair and helps repair surface damage. – Tocopheryl Acetate (Vitamin E): Antioxidant that protects cells against free radicals, while moisturizing and improving the hair’s elasticity. 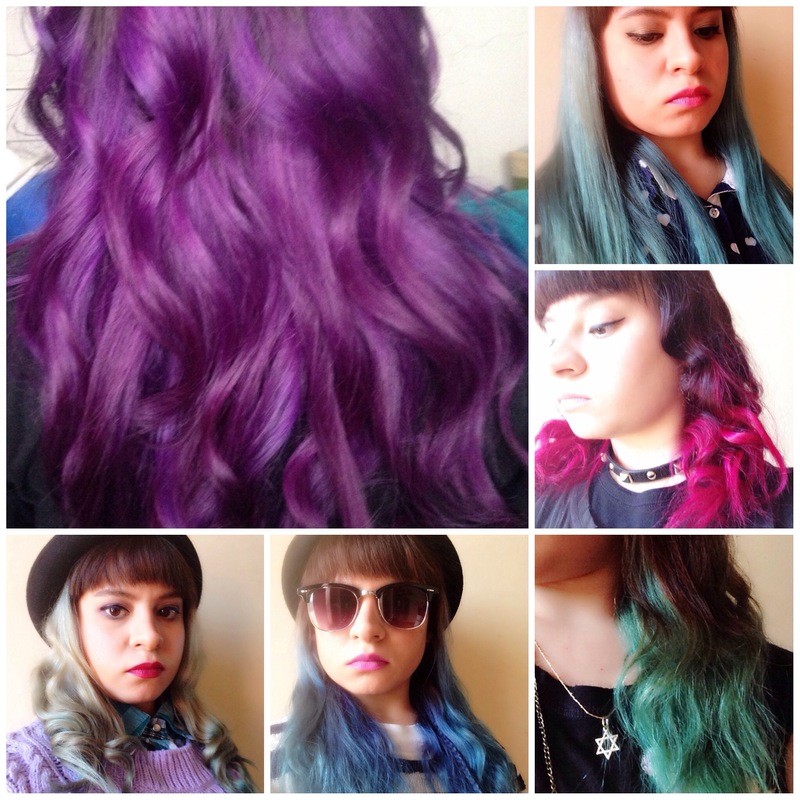 Piccola premessa come sempre: i miei capelli tendono a diventare molto secchi e crespi dopo ogni trattamento colorante o di styling.Mi sono decolorata i capelli tante volte e li ho tinti di diversi colori “non convenzionali” (blu, verde, viola) talmente tante volte ormai che ora ho sempre bisogno di un trattamento idratante intensivo almeno due volte la settimana! Lo consiglio a chiunque abbia bisogno di un profondo trattamento idratante che restituisca bellezza e vitalità a capelli spenti, danneggiati o secchi. Il Moisture Super-Charged Moisturizer è un trattamento idratante intensivo che vi lascerà i capelli sani, soffici, lucenti e facili da acconciare! E’ davvero un prodotto salva-capelli! Lo uso almeno due volte la settimana dopo essermi lavata i capelli e aver usato il balsamo. Applico una piccola dose di questo trattamento sui capelli ancora umidi, massaggio il prodotto su tutta la lunghezza e sulle punte e infine lascio agire per 3/5 minuti; poi risciacquo abbondantemente. Un piccolo consiglio: usate sempre una piccola quantità di prodotto, perché se ne usate troppo vi lascerà con la sensazione “ugh…non-mi-sembra-nemmeno-di-essermi-lavata-i-capelli”! E’ estremamente idratante quindi se ne abusate i vostri capelli sembreranno, dopo che li avrete asciugati con il phon, appesantiti e niente affatto setosi e lucenti! 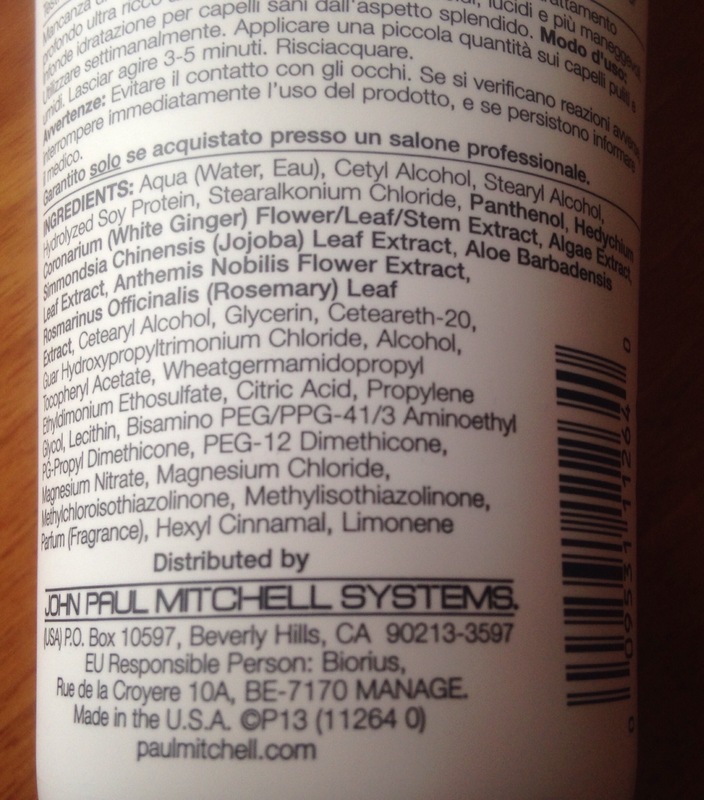 Questo eccellente prodotto è anche libero da parabeni, adatto ai vegani e sicuro per i capelli tinti. Adoro questo balsamo/trattamento! Penso che si piazzi decisamente tra i miei prodotti per capelli preferiti; è stupendo!E’ un ottimo trattamento specialmente per i capelli lunghi e “assetati” o/e per chi ha le doppie punte! ” – Pantenolo: Dona idratazione profonda e prolungata, riduce la formazione delle doppie punte e aiuta a riparare le ciocche danneggiate. – Tocopheryl Acetato (Vitamina E): Antiossidante che protegge le cellule dai radicali liberi, mentre bilancia l’idratazione e ridona elasticità ai capelli.